The best part of Emily's childhood may have been the time she spent with her quirky aunt. So when her favorite relative passes away, she drops everything to attend the funeral in the small town of Oak Creek. But she never expected to inherit her aunt's entire estate, including her massive black dog Bentley. Just as she starts to get the hang of small-town life, an unknown driver runs her off the road and sends her to the hospital. As doctors tend to her and she makes a connection with a charming Oak Creek resident named Ryan, Emily racks her brain to figure out who would want her dead. When sparks start to fly between her and the Good Samaritan that sat by her bedside, they team up to solve the mystery. Digging into the crime starts to reveal a dark side to Oak Creek and long-held secrets nobody wants revealed. Emily and Ryan must uncover the truth before her assailant comes back to finish the job. 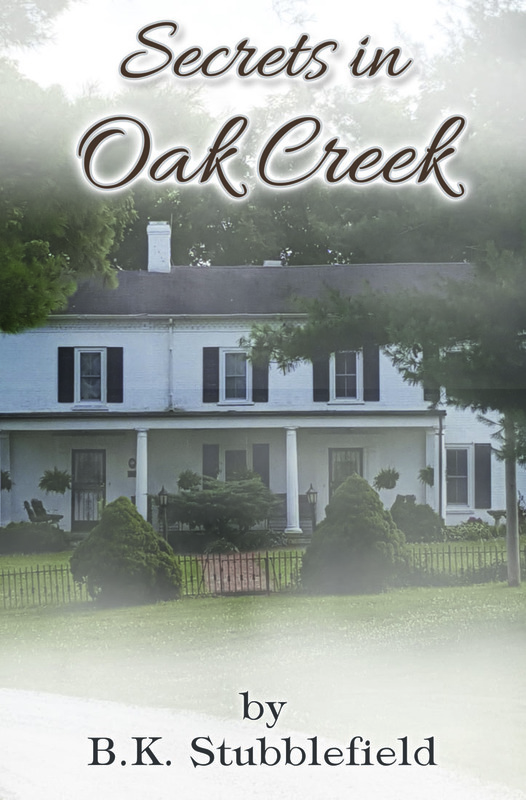 Secrets in Oak Creek is an action-packed standalone romantic mystery. If you like thrilling suspense, courageous characters, and a large portion of heart, then you'll love B.K. Stubblefield's sensational story. Birgit is a new fiction writer with a passion for animal rescue. Born and raised in Germany she has spent many years supporting her husband's military career. She now lives in the small town of Elizabethtown, Kentucky together with her husband and her rescue dog, Harper.